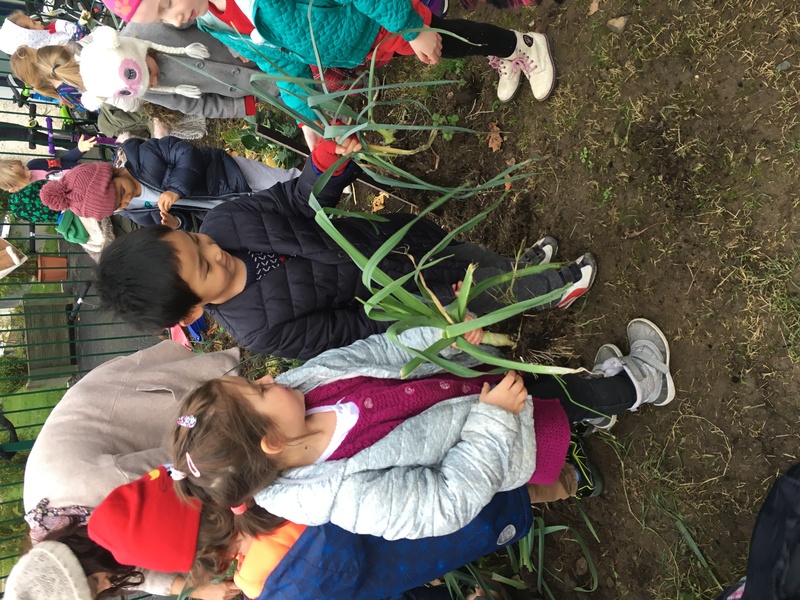 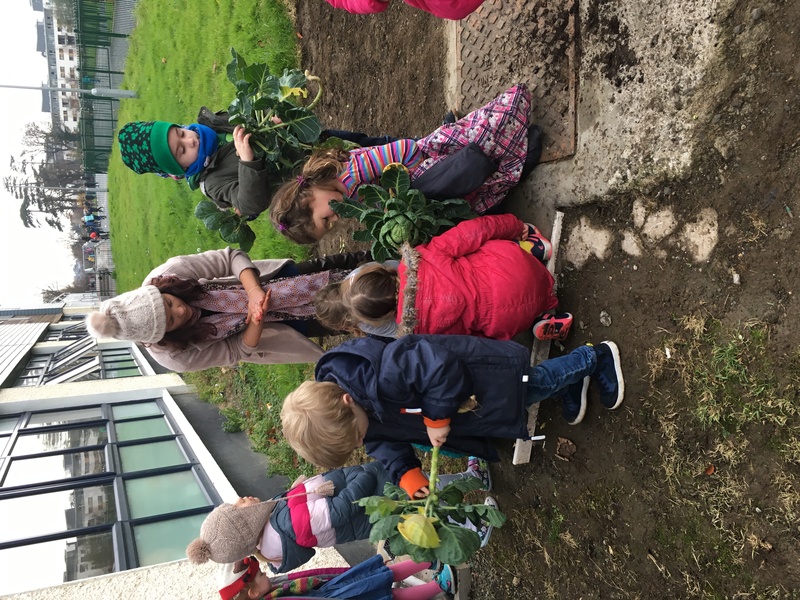 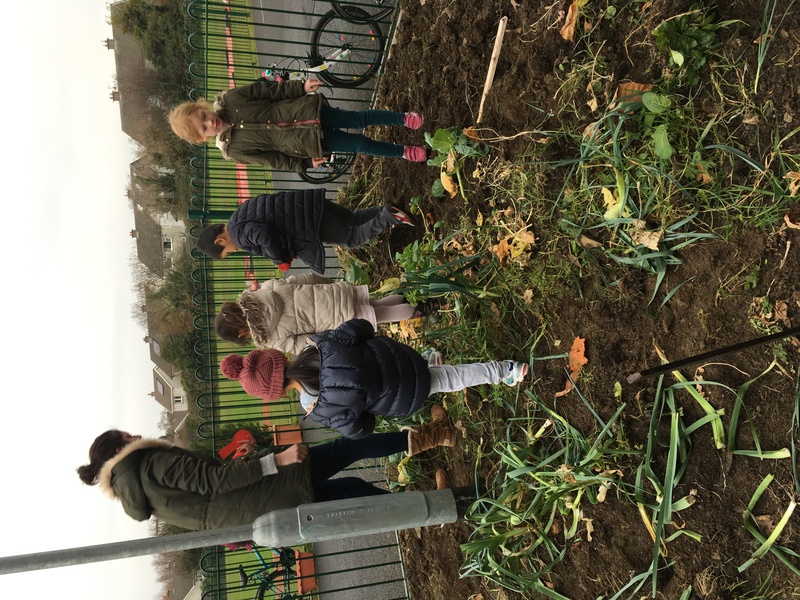 Last year, the current second classes planted lots of yummy vegetables in the school vegetable patch. 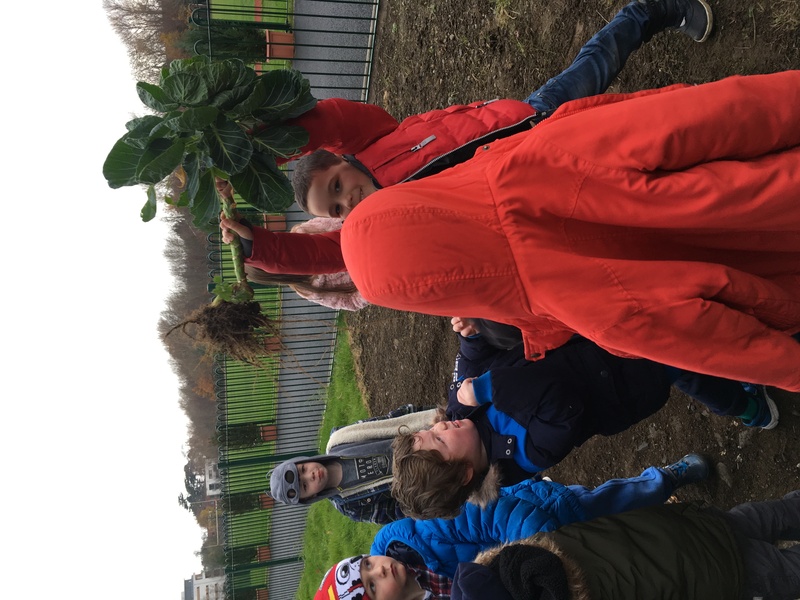 The brussels Sprouts and leeks were finally ready to be harvested so Junior Infants did the job. 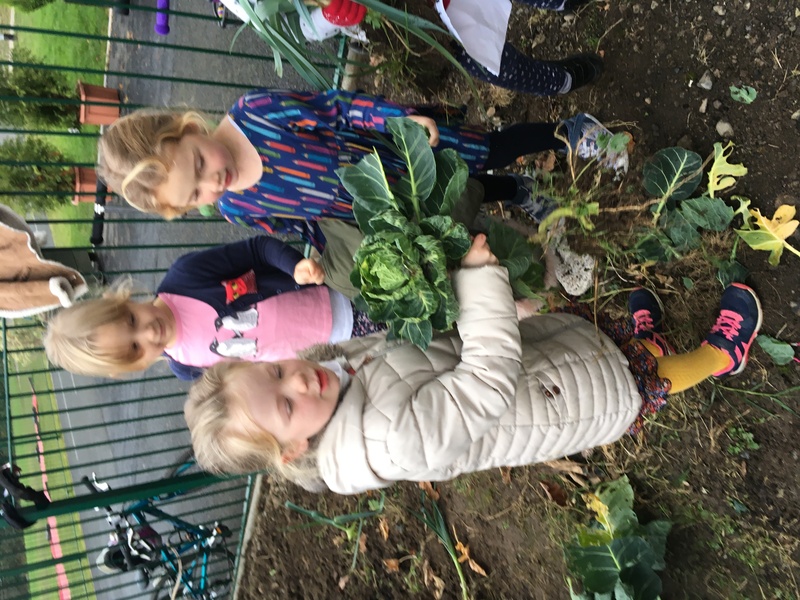 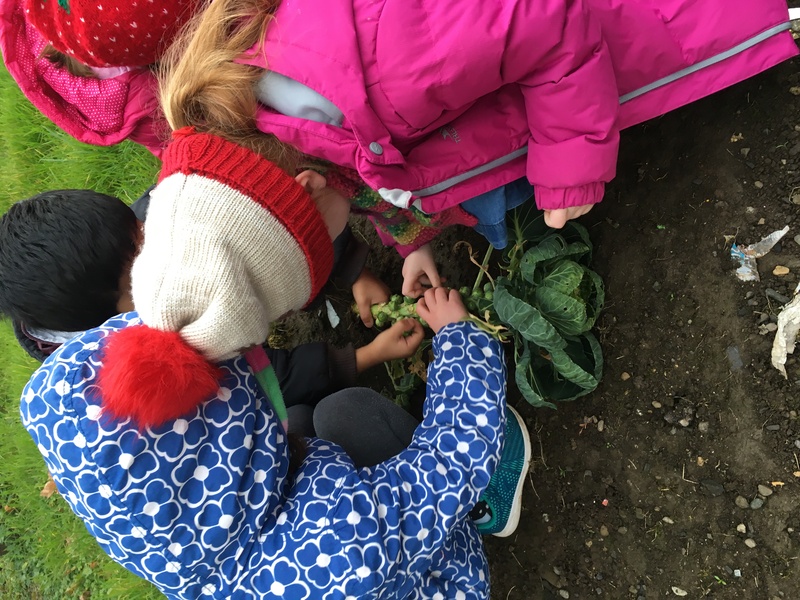 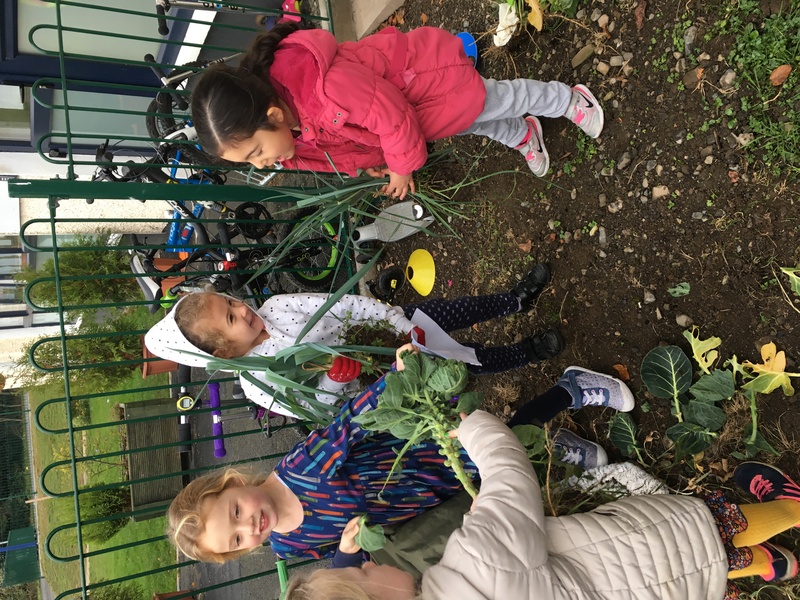 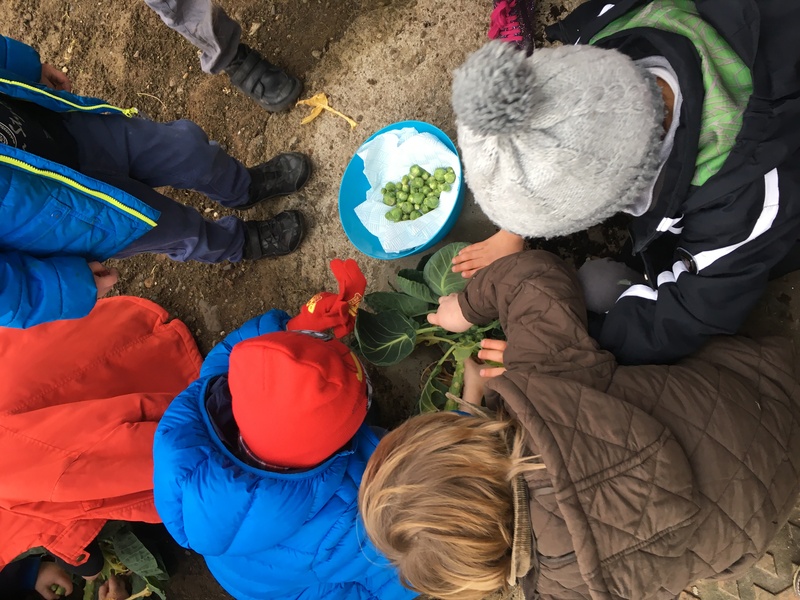 Anna’s mum Laragh helped us to dig up the vegetables and the children helped to pick all the brussels sprouts off the stalks. 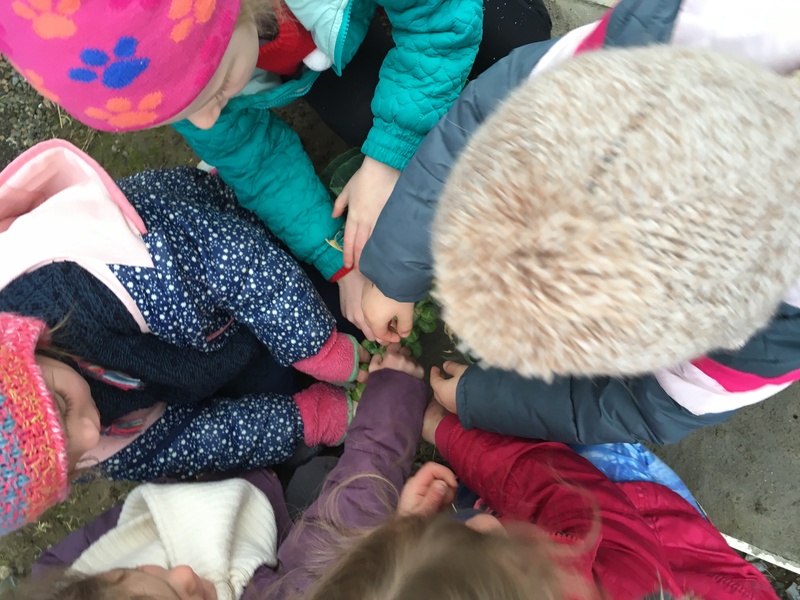 It was very mucky and very fun! 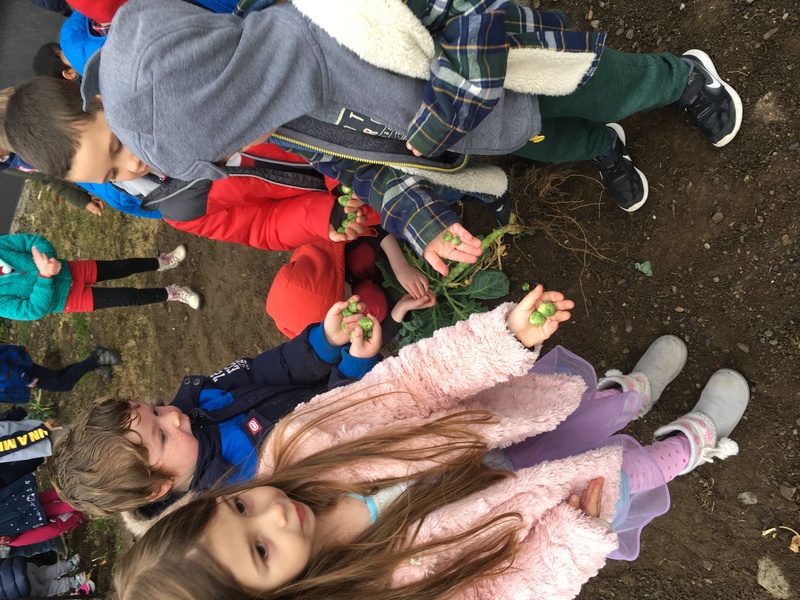 The children all got to bring home some brussels sprouts to have for dinner.